UpgradeThai visit, surface mail arrival, christmas eve. 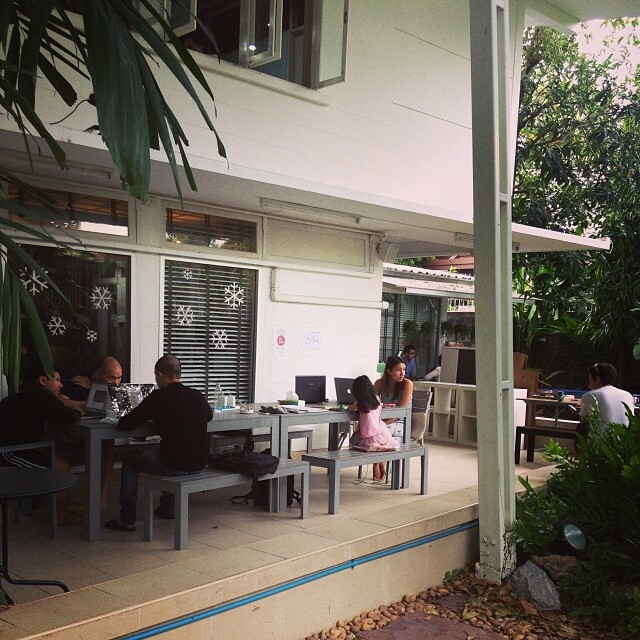 Visited Upgrade Thai in the morning to talk about a new project. The boy of Shirai-san had a very cute dog. I must take my kids there sometime. Our surface mail luggage finally arrived. 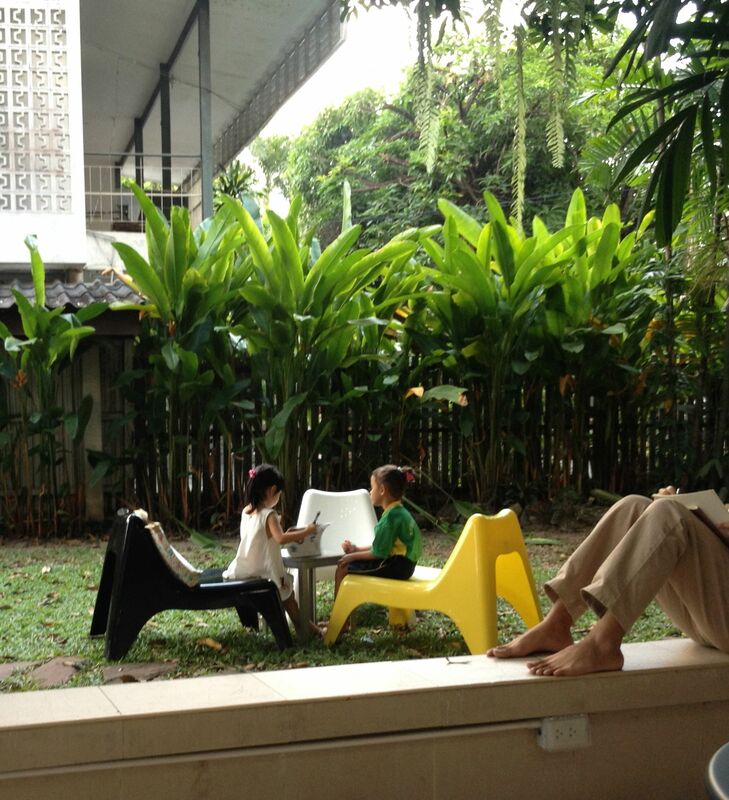 Kid’s bicycle and all the toys, guitar and ukulele, books and iMac, dishes, our family credo board and everything. They made our house a home. Children seemed very happy to have their toys for they’ve had little to play with. Our daughter wrote a letter to Santa to put beside the tree, set a cup of coffee for Santa to drink and rest, put one cake for Santa to enjoy our home. And she even arranged 10 pieces of cookies for the reindeer. After children fell asleep, we put the present, drank the coffee and ate the cookies. Reindeer are 7, the left cookies are 3. Posted on December 24, 2013 December 26, 2013 Categories daysLeave a comment on UpgradeThai visit, surface mail arrival, christmas eve. Half day with kids, half day work. Mari went to see PR company people to the city in the morning, and while she was away from home, I took care of the kids. Yesterday night, we went to Toysrus in Rama IV and beside the toy store, I found a “office mate” where they sell electronic equipments, pens and whiteboard and all the other office stuff. There, we got an HDMI cable to connect our TV to the Christmas present our little boy won at Hubba Christmas party. So, I could let the children watch “Curious George” and “Finding Nemo” movie. After lunch a friend of ours came to our house with their house keeper so that we can hire her. She was so good at negotiation that I couldn’t help laughing when she said “Pay me even if I’m sick and can’t come to work because I need to pay for the hospital”. It’s not just funny and I need to take it half seriously for it’s going to happen all the time in my business too. It seems that, maybe, they demand payments for not just in exchange for their actual work time, but for their & their family’s living. 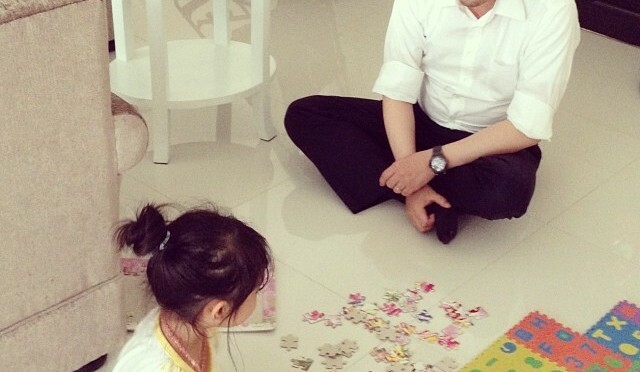 It’s hard to get enough time to work for kids are always at home. This is the point of truth I need to do my best. Posted on December 23, 2013 December 26, 2013 Categories daysLeave a comment on Half day with kids, half day work. A day of meeting new people in Ekamai. We, my family were happily invited to a party, where they welcomed us to the Ekkamai Area. Narumi-san, the owner of a hat shop, who I have many times asked for advice invited 3 mothers with kids who all living in this area. While boys were running around in the yard followed by our boy, the only girl were helping the adults. Mari asked questions to the mothers and mothers knew a lot of things. Narumi-san’s grand mother also joined and she was looking the kids with smile on her face. Posted on December 22, 2013 December 23, 2013 Categories daysLeave a comment on A day of meeting new people in Ekamai. The first WordPress meet-up I organized ended in a really good mood! There came 9 people. There were WP beginner ( but much of experience in Thailand and in other countries in the world ), html/css coders, developers and those who are running their own companies in Thailand and Japan. I made a presentation about what WordPress is and why people love WordPress. Some of my friends also joined and I’m happy with that. Others came seeing my post on facebook and post on anngle.org, and I’m happy with that too. With some of the participants. 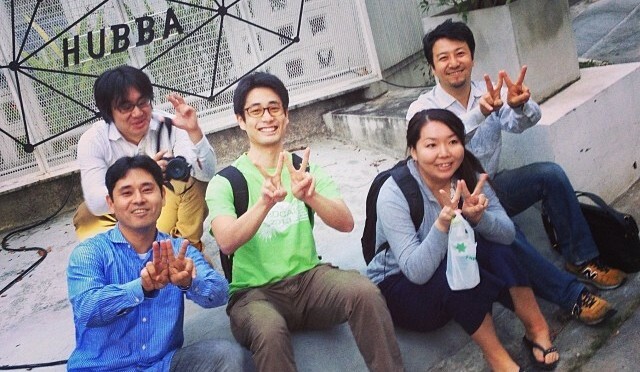 The hand sign is “W” for WordPress! I’m planning to have one meet up per month! 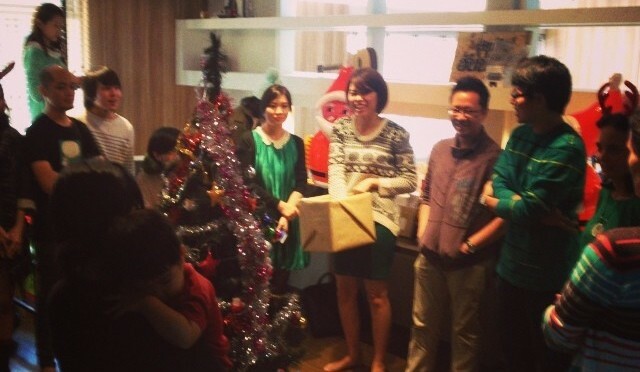 Posted on December 21, 2013 December 21, 2013 Categories daysLeave a comment on The first WordPress meet-up! 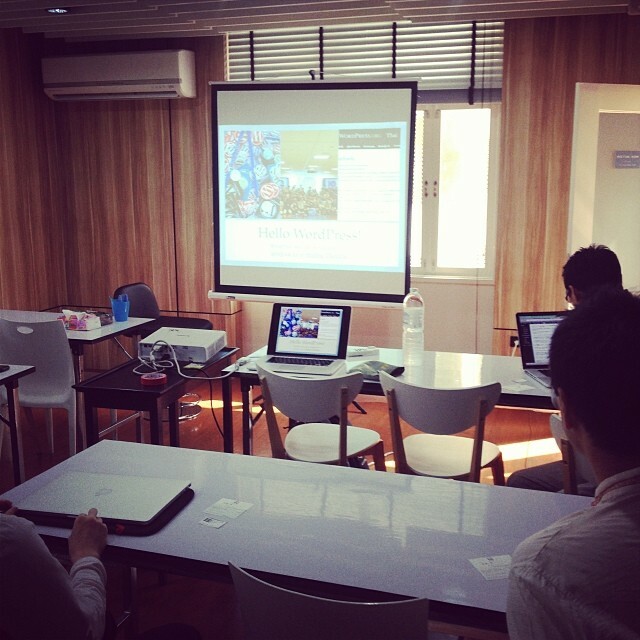 Had a Google Hangout mtg with client in Japan. Mariko joined for the first time. 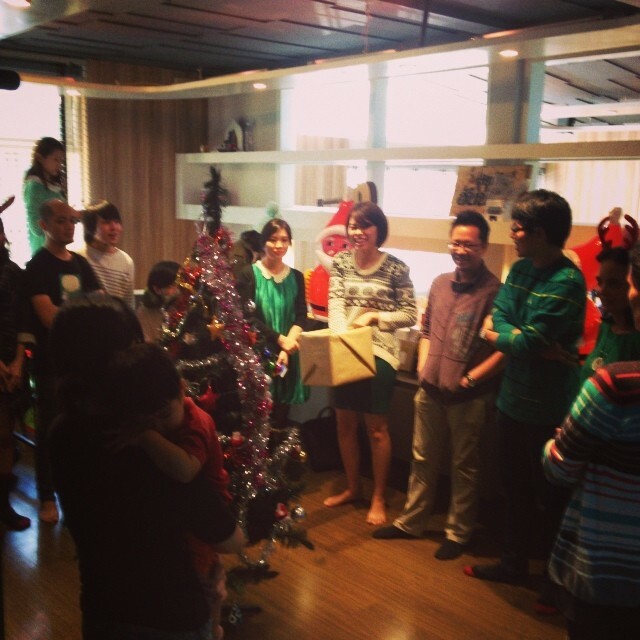 At Hubba, they had a christmas party and we joined it with kids having presents to exchange. Around 20 people surrounded a big christmas tree, we introduced ourselves, had a game called “KING” which is exactly the same as “Ohsama Game” in Japan, exchanged present and ate snacks. 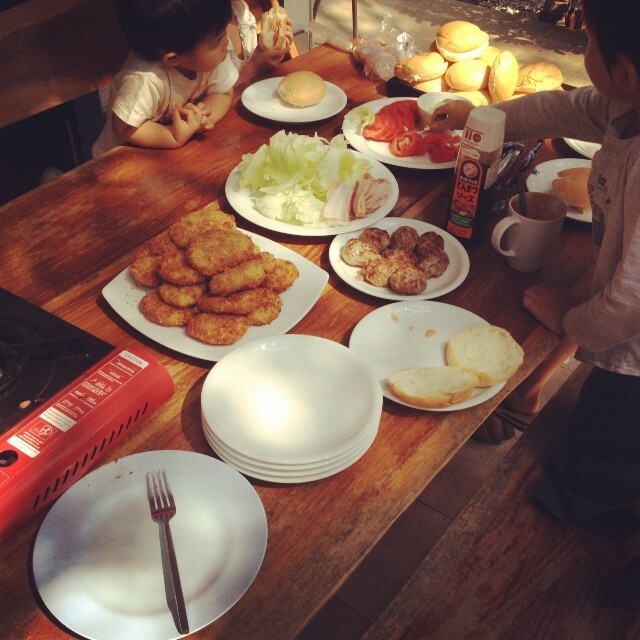 Children also enjoyed although they understand no English or Thai. 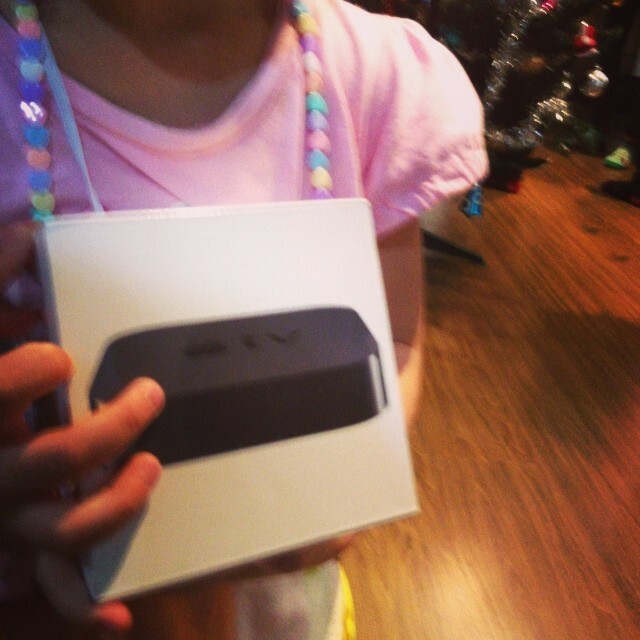 Our boy won the Apple TV, which was a special present from Hubba. Ace, a guy who has his office and staff in Hubba gave me a link to a facebook page of a bike shop where I can buy a new bicycle in Bangkok. He even told Mariko that bike is really nice for my health and it will save taxi cost. Posted on December 20, 2013 December 21, 2013 Categories daysTags featuredLeave a comment on Hangout, christmas party. Me and my wife are going on quite smoothly together. I teach her about many things around web, she helps me with what I’m bad at like progress control, accounting and documentation. We went to สบายใจไก่ย่าง to eat lunch. While eating we had our Thai text book and learned a bit. After my kids come back home, I took the daughter to Hubba, she was jumping on the trampoline and was running around the yard with a Thai kid. 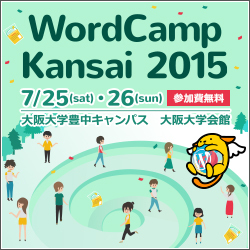 The WordPress event which is going to be on Saturday has now nine people to come. Good number of persons we can talk much and they’ll know much about WordPress. My goal of this event for Saturday is that attendee get more interested in WordPress and they can make a new / another try with WordPress. Conversation on Facebook with my friend reminded me of the “AntiFragile” concept. It’s a counter concept of fragile, and it’s not depending on one thing and getting more flexible, learningful with mobility. For me, this is something about how to earn money and support my families. For my kids it’s about how they learn and how they will be able to choose things from how much of choices. It’s really important to know I don’t know. Posted on December 19, 2013 December 21, 2013 Categories daysLeave a comment on Working with my wife. 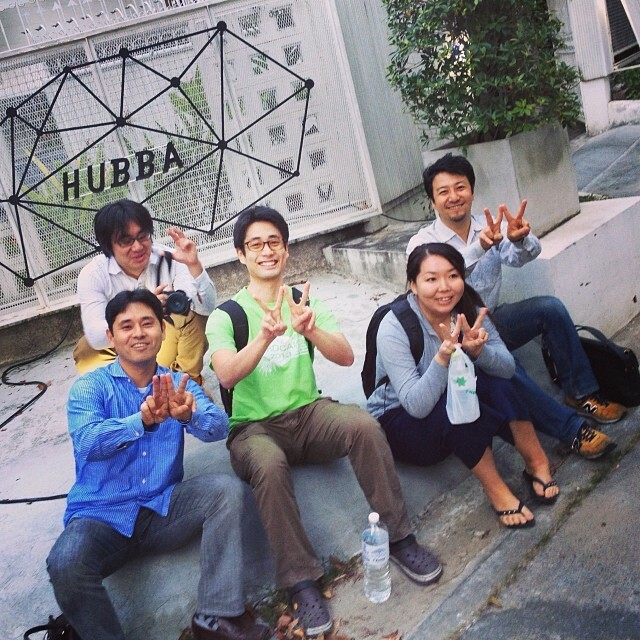 Saku Trading, Hubba work, Sunny & K.K. Went to Saku trading to check the web site I building. Today’s highlight was meeting Sunny and K.K. Sunny is a Thai guy with Indian background. He is an engineer and his plan & new web system and his vision seemed really good. K.K. 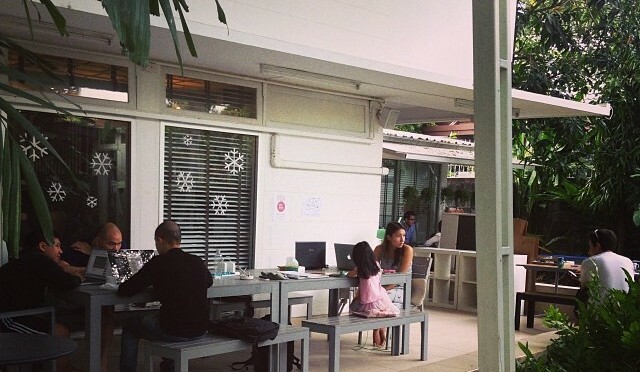 is a Japanese web developer who runs his own business in Bangkok. Their specialities are pretty close and maybe they can work together? Posted on December 18, 2013 December 19, 2013 Categories daysLeave a comment on Saku Trading, Hubba work, Sunny & K.K. Me and my wife met Ginger at Emporium, thanks for Toyo-nao. We met for the first time and I hope we keep in touch. I took my daughter to Hubba after the kindergarten 2 days in a row. I work, she does her coloring desney princess book and Hiragana learning. 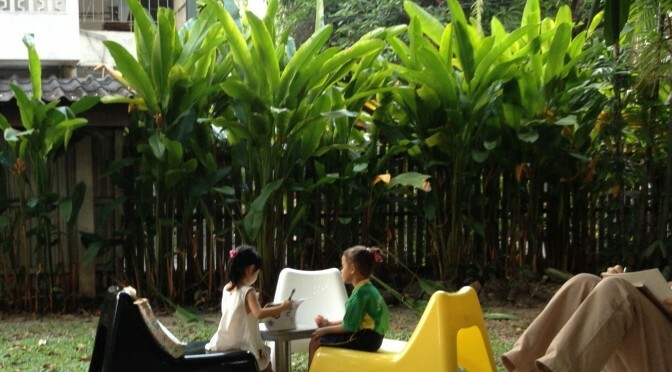 There were another Thai girl who were around 5-6 years old and they got friends. My daughter talks only Japanese and the Thai girl talks only Thai but they seemed fine. Saito san also came to Hubba and he and my family went to a Thai restaurant which is our favorite. My daughter cried again when saying bye-bye to Saito san. It was the first day of Kindergarten of my kids. Me and my wife took them to the place by taxi. Our boy cried and the girl was fine. Kengyu-san came to our house. 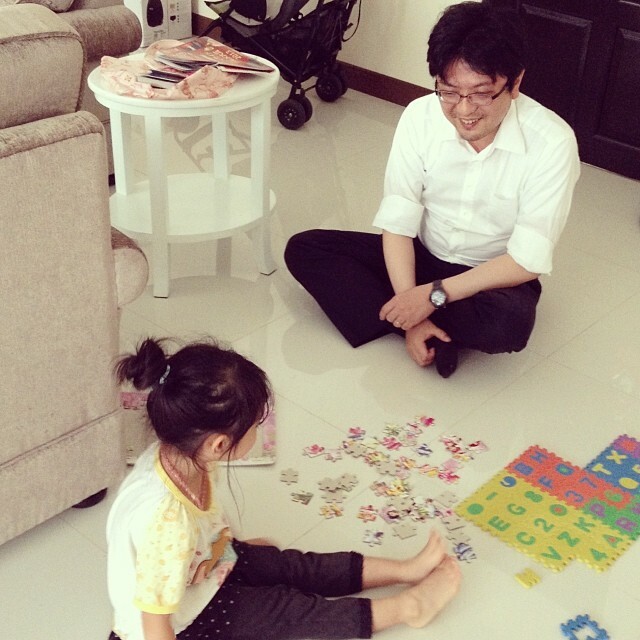 My daughter took him into ABC puzzle and memory card game. She looked really happy so that she cried when her O-niisan left our home. 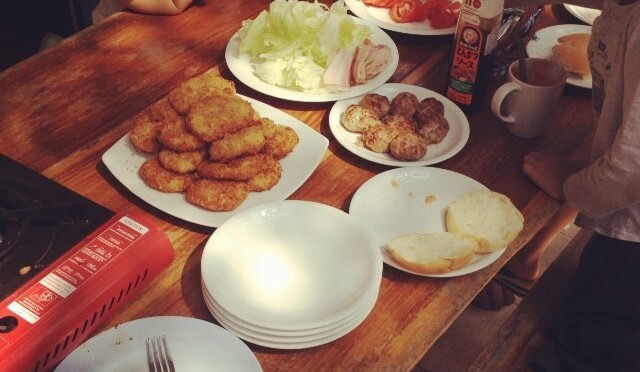 We went to @EASE in PhromPhong and drank beer. We talked a lot, he advised me a bit. Nice to have friends struggling in other asian country.